A raging fire destroys all that it touches, yet brings new growth. Cutting away dead limbs from a grapevine yields more fruit. The fire and the cutting are painful, unimaginable and sometimes feels unsurvivable at times, but necessary. Seeds that fall and are not watered or fertilized die. We, as Christians, are called to plant the seeds of faith in others. We are not called to force feed scripture to others when they’ve fallen short, act like we are better or more holy than another nor are we called to be the Holy Spirit. We are called to love. You see, when the Zennia blossom dies and dries to a crisp each petal falls away one by one either by a gust of wind or simply by gravity. Now, where the petal falls is critical to sustaining its legacy. If it falls on fertile soil it will establish, grow, and bloom again. Its petals will continue the cycle, bloom, die, dry, and scatter in the wind by the multitudes in a quest to begin the cycle yet again. 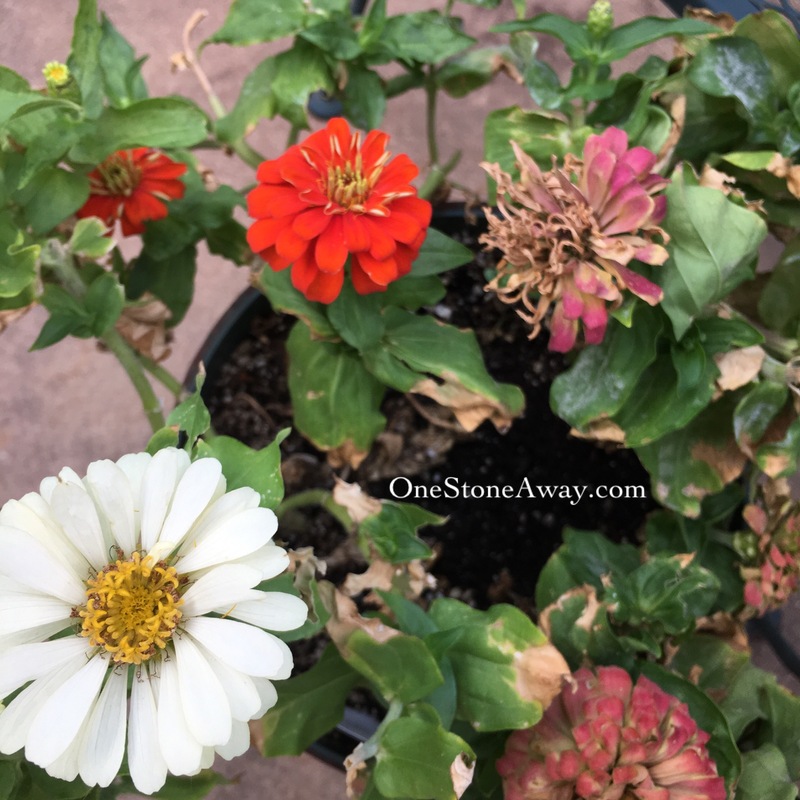 If the petal falls on dry, infertile soil or not receive water, fertilizer or sunlight it will surely die. Look closely. 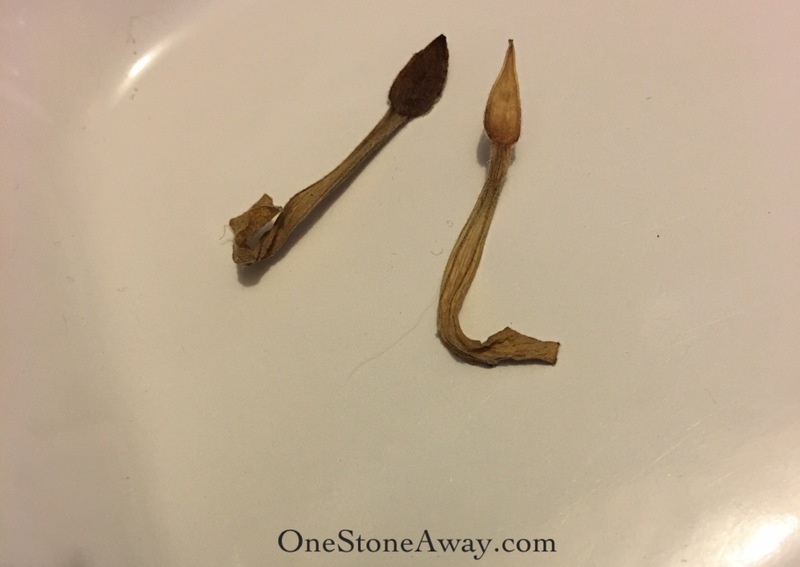 Below are two, just two of the dried petals from one blossom. Do you see what I see? Spears in the Blossom – I knew you would see it too. Pretty cool huh!?! Just as a javelin, a sword or an arrow has a speared tip on the end, so does this dried petal. God is so creative. As the wind whisks the petal through the air it can change direction. As soon as the gust slows, gravity takes over. The spear tipped petal plunges tip first into the soil with every hope of penetrating the nutrient rich soil, so as not to be blown away by another gust of wind. Breathtaking by design. Beautiful, functional, purposeful. We are much like the Zennia blossom. Our faith is but a seed. As it is written in the Bible, all we need is faith as small as a mustard seed. Momma Joyce (Joyce Meyer) is always good about encouraging Christians to not get hung up on rules, check boxes, and kitchen timers. Jesus knows your heart. Be authentic. He already knows. Nothing surprises Him. He’s not keeping a naughty list of how many times you didn’t go to church, the number of times you didn’t say yes to that serving opportunity or how many times you didn’t even open your bible. He pursues you because He loves you. He longs to spend time with you so go be with Him. Take a walk, meditate, take a walk with Him, listen or sing to worship. Do whatever you feel led to do and spend as long as you feel led to spend with our King. His arms are open wide for you. Run to Him. He is waiting. You’ll be so glad you did. Just like you said in the first line: that fire soreads and destroys everthing it touches; well what happens after. SPRING and a renewal of our commitment to God as we blossom into who He is calling us to be. Amen! That is true.😃Thank you for taking the time to read it and comment! I appreciate you.